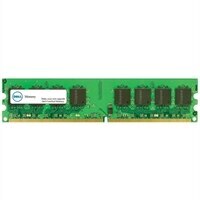 Dell Memory Upgrade - 16 GB - 2Rx8 DDR4 RDIMM 2666MHzSupercharge your Dell™ system with a Dell Memory upgrade engineered, tested and customized for your system. Adding more memory revs your system's engine and allows you to release its full potential when working with 3D imaging, multimedia, and other memory intensive applications. * Image shown is for representational purposes only.